Strawberry, milkfat, nonfat milk, sugar, corn syrup, salt, buttermilk, whey, mono & diglycerides, guar gum, polysorbate 80, locust bean gum, carrageenan, and vitamin A.
It’s amazing how one simple fruit can make such an impact on ice cream lovers across the world. 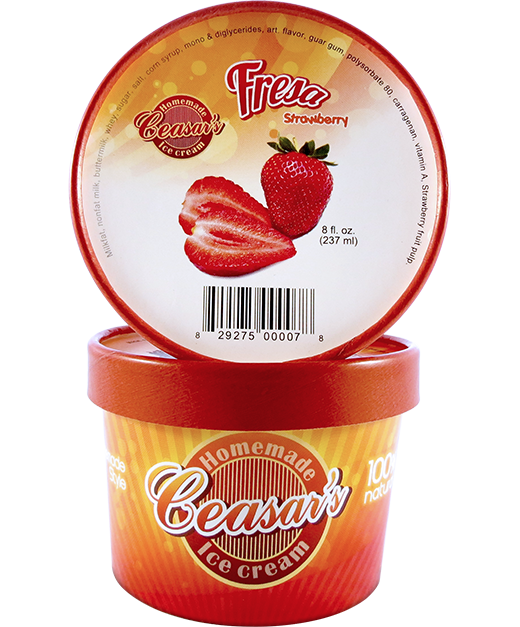 Our classic Strawberry ice cream is packed with the pulp of sweet, juicy strawberries picked at the peak of freshness. Its velvety texture, combined with perfect amount of sweetness, almost resembles biting into the actual fruit. From the moment you taste our homemade style ice cream, you can instantly imagine yourself strolling through the most beautiful strawberry fields and breathing in the delightful aroma of fresh fruit. Take a trip down memory lane by indulging into the crisp, classic flavor of our Strawberry ice cream.